There is a multi-trillion-dollar market developing around the world through the adoption of disruptive technology in driverless vehicles. This is the consensus of a number of early 2019 commentaries[i] on the growth prospects for the autonomous drive vehicle (AVs) market. 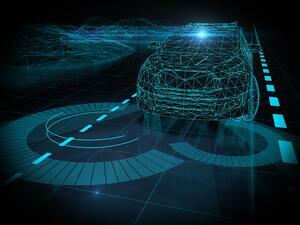 Vehicles must be underscored because this is more than just autonomous automobiles. TuSimple, a global trucking company based in San Diego, has announced successive business expansions in response to growing commercial demand, for autonomous trucks, including contracts from Fortune 100 and large international companies. [ii] TuSimple’s January announcement was one of many anticipated in the next twelve months, part of an expected surge in small scale AV roll-outs. Collectively, such movement feeds into an overall expectation that there will be close to 150,000 autonomous vehicles of many different types on the road by mid-decade. It must be remembered that the technology of autonomy is a gradated process; ranging from increasingly comprehensive levels of assistance (1-3) to fully independent capabilities (4-5). 2020 has been cited as the year when a range of level 3 vehicles will be introduced to the market (Pollard, T. 2019)[iii]. As a percent of the vehicle population, Germany and the UK are expected to take the lead (owing to the high consumer preference for technologically advanced products) but in total numbers, the US and China will dominate. Pizzuto L., et al., (2019)[iv] predicts that mass adoption of AVs will be underway first in China by 2027, with North America and other parts of Europe slightly later. Perhaps the earliest adopter, however, will be Singapore, where to deliberately accelerate the technology, the island nation announced in 2018 its intention to build separate roads for autonomous drive use. In February 2019, the UK announced plans to scrap requirements for AVs to have a dedicated safety driver, allowing them on the road by the end of the year[v]. Level 4 represents the most important development, relying on the extremely critical but highly unpredictable, human response to AI engagement[vi]. Google, General Motors, Volkswagen, BMW, Ford, Baidu, Toyota, Tesla, Audi, Range Rover, and Jaguar are among the leading contributors to autonomous drive technology. These and other companies have already spent billions of dollars in technical investment and vehicle development. Added to this are billions of dollars in venture capital which have been invested in start-up companies established over the past five years—largely to spearhead key areas of specialist technical advance. Even when using existing roads,[vii] autonomous drive vehicles have demonstrated a potential for increasing traffic ﬂow in major urban centers and freeways respectively by 40-80 percent (saving an average of 50 minutes per commute). Clearly, this is an extraordinary gain. Add to this the cost savings of the per-mile vehicle use—50 percent for a personal vehicle and a 90 percent cost reduction for a taxi—mean significant financial benefits gains become evident. Autonomous vehicles have the potential to slash delivery costs to cents per order, facilitating an exponential increase in e-commerce. Added reliability (autonomous vehicles will have one-sixth the moving parts of a traditional automobile), reduced insurance costs, billions of square meters in reduced parking space needs, and perhaps most important of all, a 94% reduction in accidents, saving lives and time lost from injuries, will result in hundreds of billions of dollars saved across the global economy. Tie these factors together and the trend is no less than “fundamentally transforming mobility”[viii]. A recent BBC documentary suggested that before midcentury, private car ownership could be a thing of the past. Indeed, Troy Baltic and others suggest that a “conceptual shift about car ownership” is already underway”[ix]. Perhaps the greatest benefit of all, however, will be vastly reduced CO2 emissions making smog (and associated chronic cardio-respiratory diseases) a thing of the past. Successful autonomous vehicle roll-out rests on the development of critical safety technologies meeting stringent performance and commercial criteria. The broad range of these consist of a variety of sensors (internal to the vehicle itself and embedded in the environment), together with failsafe, low latency connectivity (5G wireless networks), and the global software and computing infrastructure necessary to enable the safe and effective function of the whole ecosystem. While a variety of sensor types are needed, LiDAR is perhaps the best known, and certainly among the most necessary. However, commercialization still has some way to go. LiDAR units that are priced at $10,000 or more, must be brought into the low hundreds by 2025, all the while retaining high levels of reliability and technical function. Large amounts of capital have been spent over the past five years to develop cost-effective solutions needed for efficient packaging, testing and high volume production of LiDAR devices. Unsurprisingly, with a hundred-fold increase in LiDAR demand by 2027 and with a potential to dominate the market, competition is intense. Where key players numbered around a dozen in 2014, today that figure is closer to 80 including Velodyne and Quanergy among the former, with Ouster, Baraja and Blickfeld among the latter. Part of the reason behind this rapid growth is the fact that LiDAR technology is itself highly adaptive to a wide range of potential uses outside AVs. For example, the recent Chinese lunar landing utilized high-end flash imaging LiDAR technologies. This diverse use is critically important as it often feeds back into automotive LiDAR development. Indeed the largest and broadest range of recently granted LiDAR patents were filed by Bosch, Ford, Daimler, BMW, which indicates their deep interest in the many versions of the imaging process technologies noted below. Palomar Technologies plays a key role in facilitating the development and manufacture of LiDAR across the entire range of this soon to be $2 billion industry. In the past 18 months, Palomar Technologies Innovation Centers have seen a significant increase in demand to develop a variety of sustainable, high precision, lower cost, optical engine assembly, and packaging protocols. These include critical automotive LiDAR demands, but as important, a broader spectrum of end-use applications. Together, and through this variety of uses, we have covered all the fundamental aspects of LiDAR construction (illumination, detection, and imaging) but most especially imaging; which represents the focus of current investment and innovation, as well as Palomar’s area of core expertise.